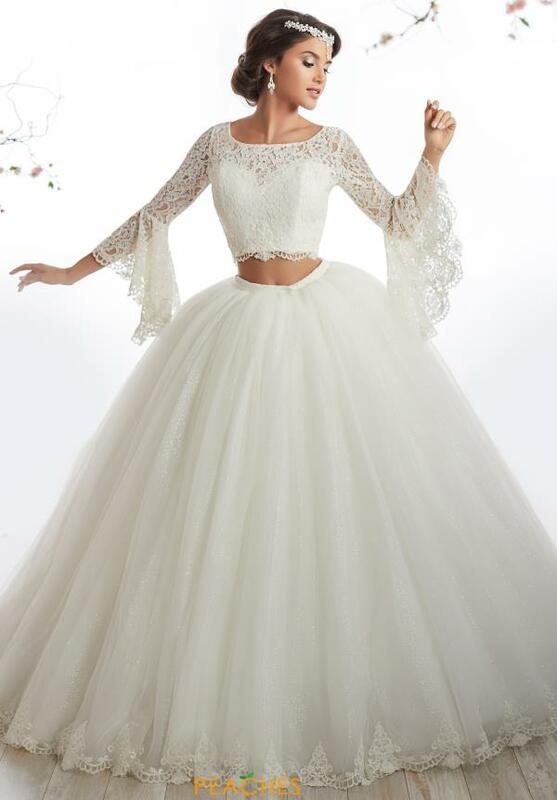 Lovely in lace, this two piece quinceanera dress 26876 from the Tiffany Quinceanera collection showcases a long sleeve crop top and full tulle Cinderella skirt. 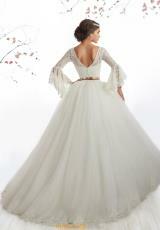 The lace top highlights long scalloped bell sleeves and intricate beading that adds the perfect sparkle. The Cinderella skirt features glitter tulle so you are sure to shine with every move. Find your perfect Tiffany Quinceanera dress at Peaches Boutique today.